It hit me the other day when I saw a photograph of my dad that there’s a part of his life that I know nothing about. To get you up to speed: my dad is a fireman by day/night and in his free time, he builds houses, landscapes gardens, feeds the birds and has an enormous love for wildlife. 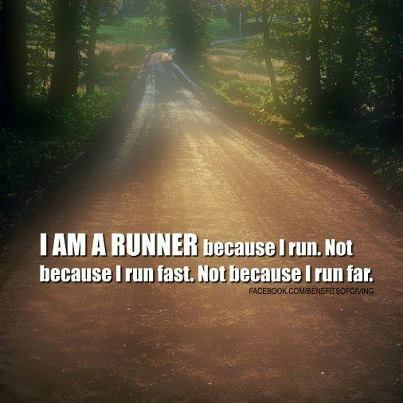 He’s also a runner. 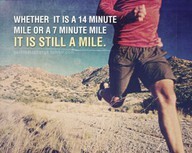 I’ve known this for all my life and in fact, just recently he ran the 2009 Two Oceans Half Marathon. But it’s the running stories from 20 years ago which are a complete blank to me. It’s Comrades week and as many of my close friends prepare to run the biggest race on South Africa’s race calendar, I suddenly remembered that my dad has run Comrades. He has also completed Iron Man. Twice. This was many years ago. But still. I’ve never shared stories with him. I don’t know what he went through, his experiences, his running trials and tribulations. In fact, since I’ve started to run, I mainly get my running tips and motivation from KK and other running buddies. Yet, I’m sure my dad has lots to share. I know that at the time when he was running, I was young, in primary school and perhaps didn’t take much interest then. I wish I had. I wish I thought about running then like I do now. I wish I had paid more attention. I’m going to stop telling people that I am a newbie runner and instead announce: “the running gene runs in my family”. Because it does.